Those look wonderful. You are really going to town with this book. I have only had time to make one thing so far...but a very good thing. I'm getting all curious about this book - it sounds like a terrific one. Those tarts look lovely! Blueberries & lemons?! My mouth is watering, and I can see my plan to take a break from the kitchen during Easter is not going to work out...LOL! I want to be your neighbor too! I'm always in the lookout for lemon bars, one of my favorite bakery treats. These look really good and I was actually wondering what to make with the leftover buttermilk I have in the fridge. This could be it! Looks delicious! It was such a nice surprise this morning to discover I won! Thanks! I'm so excited! The Chocolate Raspberry Truffle Torte sounds like its calling my name! Oh my these are lovelies! Love that little lemon pig tail! Perfect. Now, I've done my first buttermilk pie and how I love it. Yours are prettier. Helen, these are so beautiful! And I'm a sucker for citrus flavors, too - these are right up my alley. The random number generator bests me again! I love blueberry anything!! 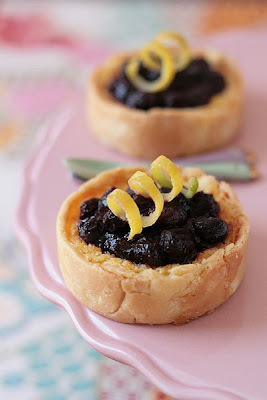 These tarts look perfect! I can be very picky about my citrus desserts -- I love them, but some recipes come out way to sweet or way to puckery. But these sound ab fab and just right, and are another endorsement for me to get my hands on this book! *sigh* I never win these things! Oh, well. That pie sounds divine. I love the mini form that you've done. 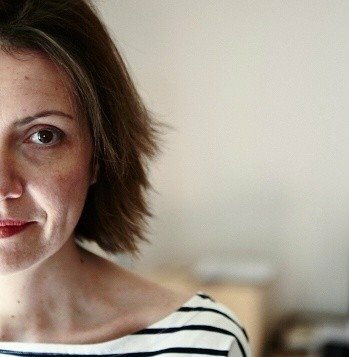 Cute site, with great pictures. Looking forward to reading more. those tarts are adorable! Love your food styling too ! Beautiful. And obviously delicious. Sweet Melissa...my favorite Allman Brothers song. I cannot wait until blueberry season. They are my second favorite fruit, after figs. I like the buttermilk in this recipe. I am definitely buying this book!! 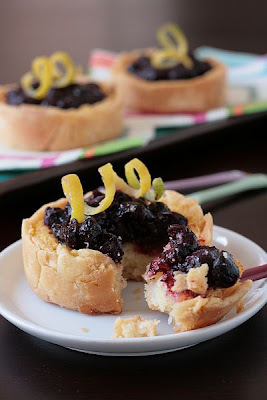 Those little tarts look delicious...I'm definitely going to have to buy this book! These look delicious! I am definitely going to have to buy this book better yet I am running to the blog that you posted and entering! Ah well. Next time perhaps. At least I have this great Blueberry tart recipe to follow. Very cute! Those blueberries look very content sitting on top of that tart.Your good I tell yah! Every summer I mean to go blueberry picking, so I could freeze the berries to use in the winter. 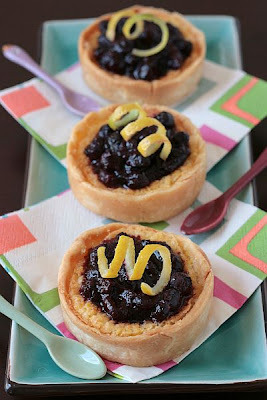 If I had done it last summer, I'd be able to make these beautiful little tarts. This year, I'll definitely go picking! Blueberries are my FAVORITE fruit. It bums me out so bad when I bring them home and they have no taste and I just wasted $5.98 for a small pint. Ugh...why do they have to be sooooo expensive???? Wow, Melissa Murphy's new book sounds lovely; and look at those mini buttermilk (AND BLUEBERRY YUM!) pies!! so divine and elegant. 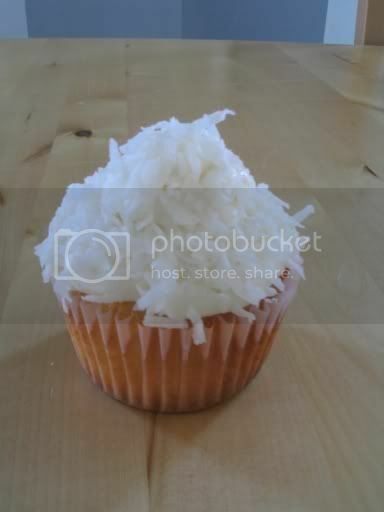 once again, your food-photography is impeccable, Helen! Those are cute, cute, cute. Just a lovely little dessert. What adorable little tartlets they are! Blueberry and lemon is such a great combination. I will definitely have to check out this book! that crust looks amazingly delicious! and thank you for your sweet comments! You are truly my inspiration Tartelette! I hope to keep it up! those are so cute! i LOVE anything with fruit in it!